Jump feet first into this luxuriously rich foot treatment and get ready for summer with a soothing Euclyptus, Peppermint and Lemon scented Foot Creme. Instantly rejuvenate, soothe and repair your soul and your soles with this richly concentrated ointment bar to hydrate and eliminate cracked heels and calluses while softening and providing immediate long lasting relief for dry itchy feet. Pamper your feet with this rich luxurious spa treatment! Its creamy soft, lightweight texture and non-greasy formula has a silky and luxurious feel designed to care for your feet at home. Soothe Ur Soul Lotion Bar’s formulary process combined with the purest ingredients produce the most superb performance ointment available. Solid at room temperature, each bar is a dream to apply; just smooth bar over dry irritated skin, in moments the bar will soften from body heat and gently glide over the toughest roughest heals and callus’. You’ll be amazed as you actually feel it instantly penetrating, delivering maximum relief. Soothe Ur Soul is free of alcohol, scents, dyes, synthetic and chemical preservatives. Composed entirely of natural and organic emollients which co-mingle with your own biological immune support system, the light, silken butters and rich velvety oils impart the delicate pure fragrance Euclyptus, Peppermint and Lemon derived directly from nature. Each Lotion Bar comes in a personal tin which is great for travel and is recyclable or better yet great for storing small items! 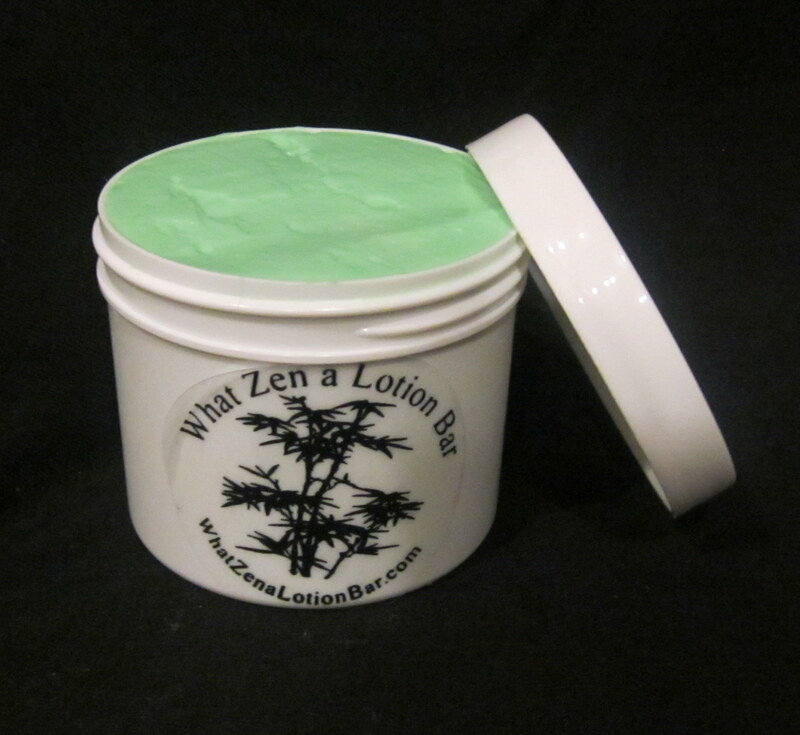 The screw on lid guards your lotion bar from the elements, and no worries about it falling open in your purse, pocket, backpack, or luggage making a big mess because this tin possess continuously threaded lid for an excellent grip and a tight seal. The twist-off top and the little ridges around it make it easy to unscrew and shut tightly, yet is effortless to open even if your hands are wet and/or slippery. The ideal travel companion perfectly suited to meet flight regulation standards and fit comfortably into your luggage. At What Zen a Lotion Bar we are committed to using the highest quality therapeutic ingredients from environmentally sensitive ethical producers around the world. We put hours of research and personal testing into our lotion products to ensure they provide you with excellent results. The products we sell are organically grown, harvested or processed as close to “Mother Nature” as possible. CUSTOM ORDERS WELCOME! Want more than one bar, a different size, or private labeling for your business or special occasion? Click here: https://www.etsy.com/conversations?ref=si_con and I’ll create a personal sales ticket just for you! WHOLESALE: If you’re interested in carrying any of my lotion bars in your shop, hotel, bed and breakfast, or need a special souvenir or gift for a charity benefit, party, wedding or other large event please feel free to contact me. Private labeling is also available. Design one of a kind fragrances, unique packaging, and specially tailored labels!